What I love about meeting people from around the world with a love of vintage is the communities they belong to. Sometimes those communities are online, via social media, they can be at yearly events and festivals or living right next door. 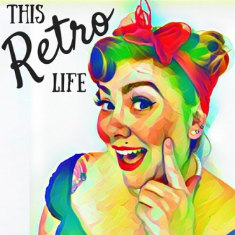 Wherever they are the community the develops around our vintage passions are strong and supportive and this weeks episode is a shining example of that!